Check out Tobi's Cora Smocked Georgette & Sequins Crop Top Your closet could use more boho. Get the Cora White Smocked Georgette & Sequins Crop Top to live that bohemian dream. 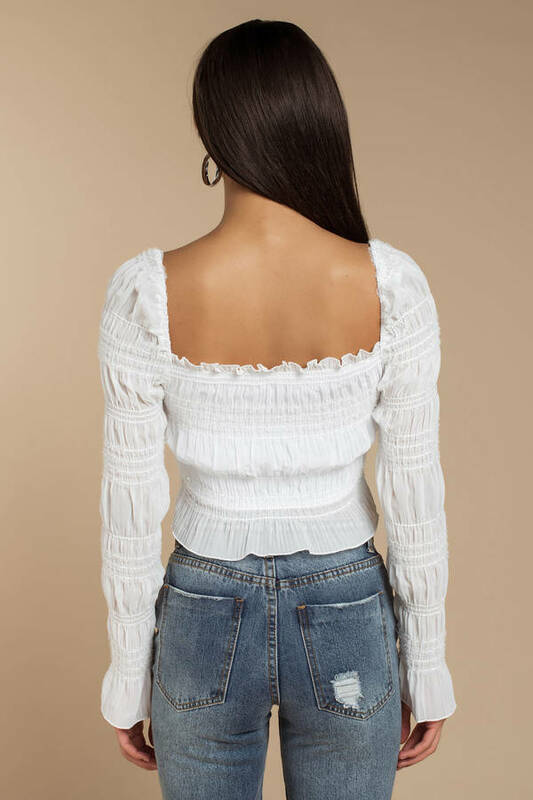 This smocked blouse features a cropped construction, square neckline, long cinched sleeves, flared cuffs, and a ruffled hem. Pair this boho top with a floral skirt. Your closet could use more boho. Get the Cora White Smocked Georgette & Sequins Crop Top to live that bohemian dream. 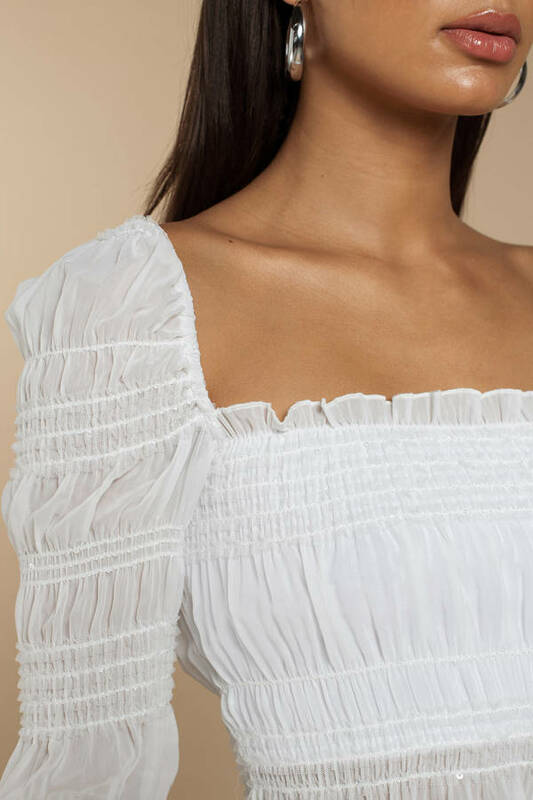 This smocked blouse features a cropped construction, square neckline, long cinched sleeves, flared cuffs, and a ruffled hem. 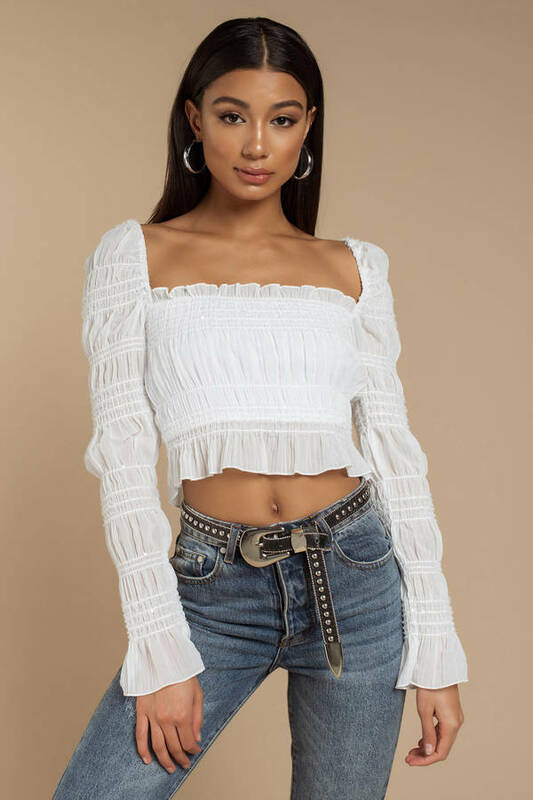 Pair this boho top with a floral skirt.